Contact Healthy Headie Lifestyle, Inc.
Award 40 under 40 for good business leadership and community involvement. 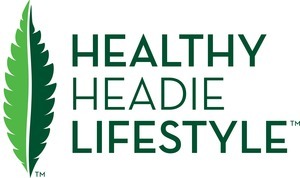 Healthy Headie Lifestyle is the direct to consumer distribution and sales network. Focusing on the Cannabis Lifestyle, independent sales consultants organize both group and 1-on-1 experiences. At the experience a cannabis knowledge and 101 overview is given. Next, products are showcased, then the customers can make the purchases, in the comfort and privacy of the home. A hybrid approached to a well know traditional multi level marketing program. We have been called the Mary K of Mary J. Providing both information and product sales in an in-home, party like setting. Elevating the expereince through a hands on, social shopping style. With collaborations and partnerships in both the dispensary and educational sector, media and publications, we are poised to be the leader for direct in-home sales. Healthy Headie Lifestyle, Inc. added an award.